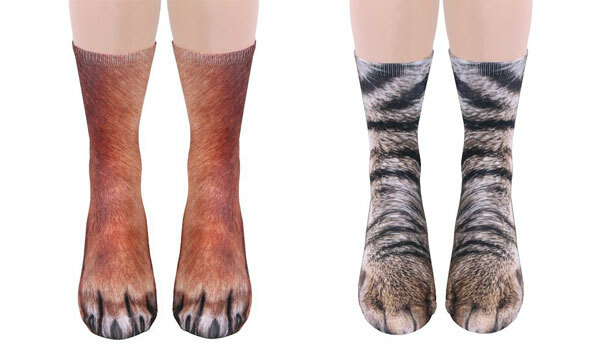 I don't know you real well but I feel certain you need a pair of these realistic. animal. paw. socks. There's a dog one and a cat one and if you flip either pair over, you'll see the bottoms are printed too. Quite the optical illusion!